There’s nothing quite like a long stroll to put things into perspective. 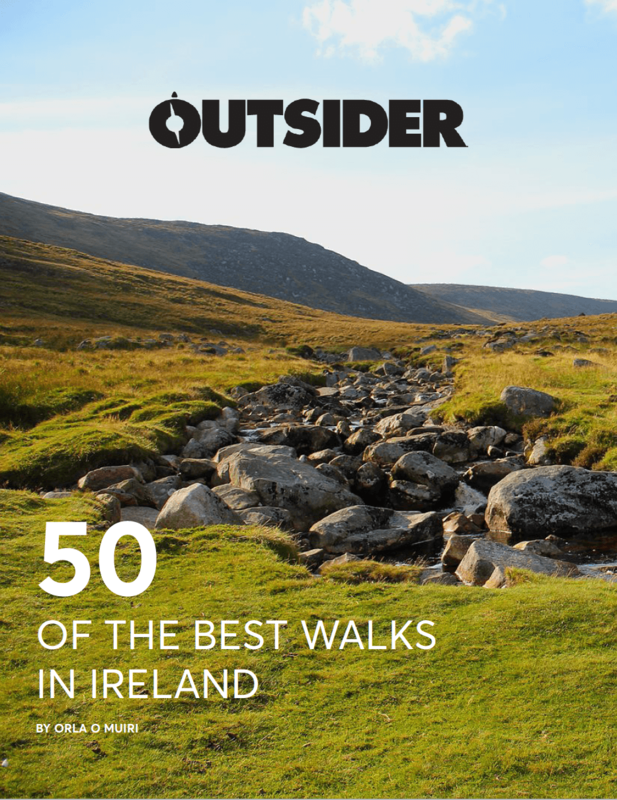 So slow down and go for a walk on one of Ireland’s best long distance walking trails. Kerry is already well known on the international stage for its rural beauty. And the Kerry Way is no exception, it is stunning. Boasting views across emerald green fields and out on to the crashing Atlantic ocean. There are few better places in the world. The 215 km route starts and finishes in the vibrant town of Killarney. The trek through the Iveragh Peninsula can take roughly 7-10 days to complete. Camp or stay in one of the many fine establishments dotted along its entirety. This four-day walk along the River Barrow is still somewhat of a hidden gem for anyone but the locals. The Barrow Way follows surviving towpaths and riverside roads, from Lowtown in Co Kildare to the idyllic little village of St Mullins in Co Carlow. The peaceful route winds its way through the sylvan landscape following the river. You’ll find accommodation in one of the many quaint villages dotted along the grassy tracks of the Barrow Way. The Burren is well known for its unusual landscape. And what better way to experience the limestone pavements than on foot. Winding its way from Lahinch to Corrofin, the karst landscape of bedrock makes for a piercing contrast to the deep emerald green of the Atlantic swell below. It will take around five days to make your way around the quiet tarmac roads, forest paths, tracks and up a few of the sweat-inducing climbs. The Beara Way is a long distance walking route around the stunning Cork peninsula. This particular trail is a good one for all you history buffs out there, with a large concentration of historical and archaeological sites en route. It passes through the towns of Castletownbere, Kenmare and Glengarriff. It is also fully signposted! This one’s a long one, a whopping 1000km long! But if you want to really explore Northern Ireland then there are few better ways to do it than by foot. The route takes in the Mourne Mountains, the Antrim coast and the Sperrin Mountains, so there’ll be a few climbs. The walk will take around three weeks and takes place mostly on quiet roads, forest tracks or trails. However, inevitably on a distance of this scale there will be some busy roads. This looped walk begins and ends in the thriving town of Tralee, Co Kerry. Over the eight to nine days it will take to walk it, you’ll experience the foothills of Slieve Mish, the crashing waves of the Atlantic at Slea Head and golden beaches on the Maharess. Aswell as an abundance of Irish history, from standing stones, ogham stones and a multitude of beehive huts. Plus the oratory of Gallarus! There is no better view of the Atlantic than from the protruding Sheep’s Head peninsula. You won’t have time to dwell on your tired legs because your eyes will be so glued to the landscape. Watch out for an old copper mine, a blowhole, stone circles, standing stones, sheer cliffs, a Napoleonic signal tower and old churches. Down in the sea, you are also likely to spot dolphins and whales if you are lucky enough! The Wicklow Way was one of the first long-distance hiking trails in Ireland and it still remains the most popular one in the country. Don’t let that deter you though, if you are seeking solitude, you’ll still find it here. Bar around Glendalough, chances are you won’t meet too many kindred spirits walking. The waymarked trails include mountains, upland lakes, steep-sided glacial valleys, fast flowing mountain streams, forests and farmland. Beginning in Dublin’s southern suburb of Rathfarnham and travelling down through Wicklow to finish in the picturesque village of Clonegal, Co Carlow. Now, if it’s an epic, bucket list challenge you’re after. There’s nothing much cooler than being able to say you walked a country from coast to coast. Stretching from Marley Park in Dublin all the way to Bray Head on Valencia Island, Co Kerry, this is one of Ireland’s toughest long distance walks. It links up some of the great Irish trails including the Wicklow Way, South Leinster Way, the Munster Way, the Blackwater Way and the Kerry Way. And finally, the ultimate Irish challenge. Many have driven it, a few have cycled but how many can say they walked the entire Wild Atlantic Way? The increasingly popular tourist trail on the west coast of Ireland passes through nine counties and three provinces. Stretching from Co Donegal’s Inishowen Peninsula to Kinsale, Co Cork. There are 157 discovery points, 1,000 attractions and more than 2,500 activities and is well worth taking a look if your feet are up for it!